Get a head start on the end times by studying the weekly haftarah portions. Voice of the Prophets restores an authentic Jewish eschatology with prophecies about the centrality of Israel and Messiah in the kingdom and the end times. Dive deep into the world of ancient Israel, kings and prophets. Enter the world of Isaiah, Jeremiah, Ezekiel and all the prophets. Voice of the Prophets takes students through the synagogue haftarah readings—the accompanying Scripture section from the Prophets that we read after the regular weekly Torah portion. Take hold of the Jewish perspective on the Prophets and discover how the whole Bible fits together. Voice of the Prophets opens a theological-revolution for traditional Christian interpretation while laying a strong foundation for Messianic Judaism. 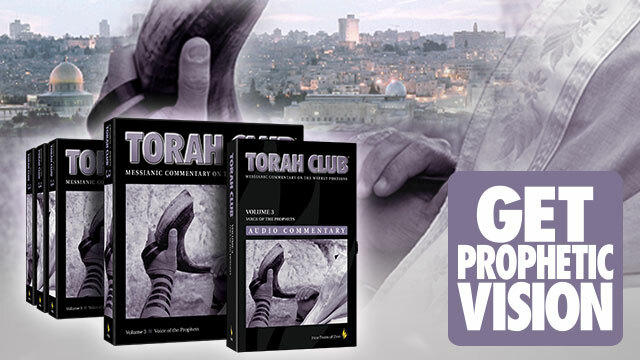 Voice of the Prophets is the only comprehensive Messianic commentary on the haftarah-cycle, and it includes written commentary on extra readings for festivals and special Sabbaths—covering more than than eighty haftarah readings. Written materials and audio CD teachings draw on historical, archaeological, geographical, and linguistic studies in combination with Messianic and rabbinic insights. This is a "must-have" resource for every serious student of the Bible, and an essential key for anyone who wants to understand the promise of the kingdom. The weekly commentaries from Voice of the Prophets are printed on 8.5 x 11 inch loose-leaf, three-ring binder paper. The complete Torah Club comes with five attractive binders in a large slip case to keep your notes organized and easily accessible. The pages have generous space for taking notes and jotting down additional thoughts. Part one contains Messianic Jewish commentary on the haftarah portions for Genesis includes readings from Isaiah, Ezekiel, Malachi, Hosea, Amos, Obadiah, and Kings. Book one also includes commentary on special haftarah selections for Rosh Chodesh and the days of Channukah. Part two contains commentary on the haftarah readings for Exodus: Selections from Judges, Kings, Isaiah, Ezekiel, and Jeremiah. Book two also includes commentary on special haftarah selections for Shabbat Shekelim, Shabbat Zachor, Shabbat Parah, and Shabbat HaChodesh. Part three contains Messianic commentary on the haftarah portions for Leviticus include readings from Samuel, Kings, Isaiah, Ezekiel, Jeremiah, and Amos. Book three also includes commentary on the haftarah for Shabbat HaGadol and the five haftarah selections for Passover. Part four contains Messianic Jewish commentary on the hafatarah portions for the book of Numbers, including passages from Joshua, Judges, Samuel, Kings, Jeremiah, Hosea, Micah, and Zechariah. Book four also includes commentary on the two special haftarah selections for Shavu’ot. Part five contains Messianic Jewish commentary on the haftarah portions for the book of Deuteronomy, including passages from Joshua, second Samuel, Isaiah, and the seven consolations from Isaiah’s book of consolation. 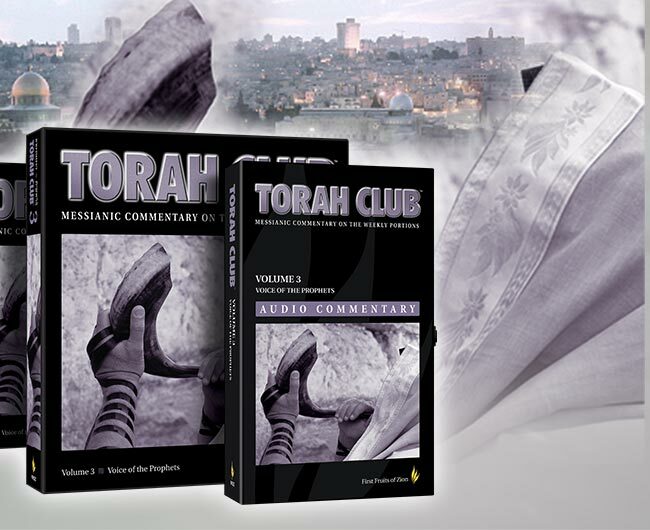 Section five also includes commentary on the special haftarah selections for Tisha be’Av, fast days, Rosh Hashanah, Shabbat Shuvah, Yom Kippur, Sukkot, Shemini Atzeret, and Simchat Torah. Festival and special Sabbath readings. Study Questions for individuals or small groups. Weekly Bible readings and study materials. 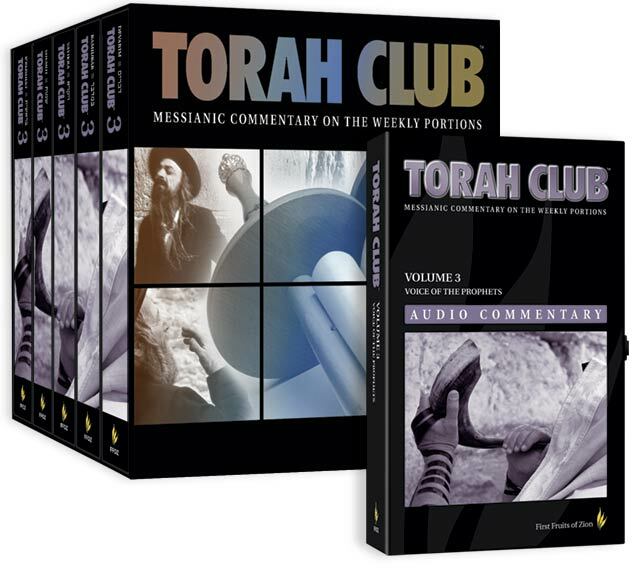 Voice of the Prophets Audio Commentary on contains fifty-four audio chapters corresponding to the fifty-four Torah portions. The audio magazine supplement includes a discussion-format teaching on a the weekly haftarah portion, a segment about end-times eschatology and prophecy, and a children’s story about the haftarah portion. Introduction: Boaz Michael provides an introduction to the weekly parashah and haftarah portion. Drash: The brothers D. Thomas Lancaster and Steven Lancaster discuss the weekly haftarah in light of ancient near-eastern history, the Hebrew language, biblical geography, and Hebrew poetry. Torah Kids: Toby Janicki brings the children a weekly story pertinent to the haftarah portion and the lives of the prophets. End Times Prophecy: D. Thomas Lancaster focuses in on Messianic Jewish eschatology to give a glimpse into the coming kingdom.